METROPOLITAN was created for the younger customer seeking a chic minimalist look for a limited budget. Most low cost bathroom ranges are dated and lack style and appeal, Metropolitan has a balanced mix of curves and straight lines resulting in a strong statement for today's smaller bathrooms. 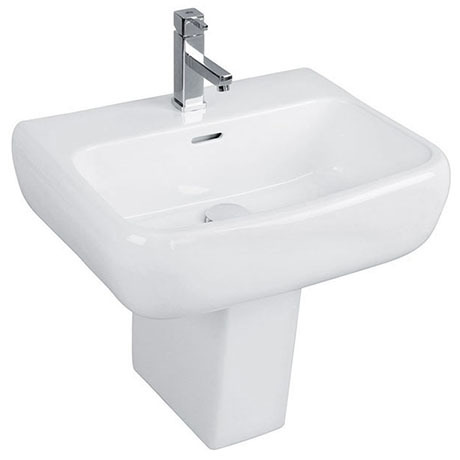 The 52cm basin sits on a wonderfully crafted full pedestal. I love the sink....the room seems so much bigger without the floor predetal, the sink is lovely and deep, nice contemporary style & built well.